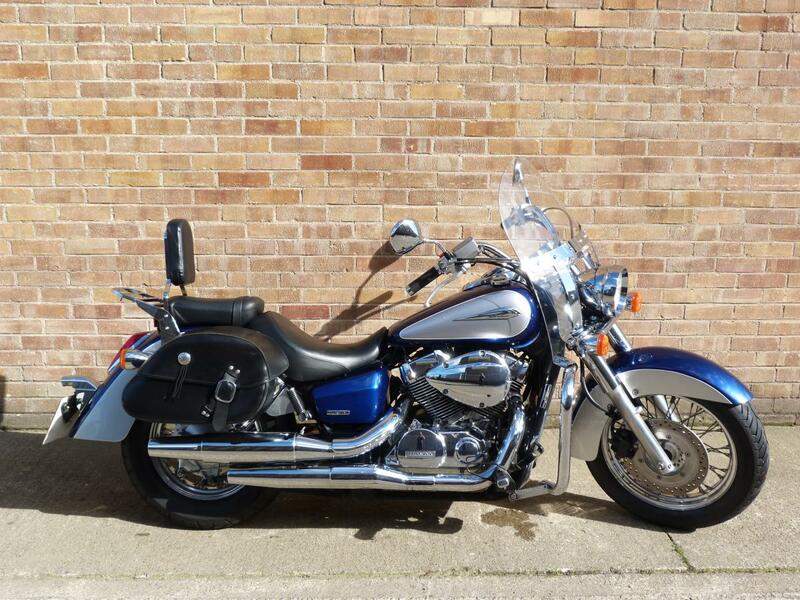 Here for sale is a 2009 09-plate Honda VT750 CA-9 SHADOW with 14,991 miles on the clock. This Stunning Condition Shadow has been very well looked after and is beautiful to ride! It has a Full Service History and comes with all its original paperwork. The bike is also fitted with some lovely extras, chrome engine bars, sissy bar with rack, screen, chrome radiator guard and leather panniers.